What a great event we attended last week in Las Vegas. The Go Pro 2015 event was the best yet. I so appreciate that Eric and Marina Worre are hosting these events for our profession. There isn’t anything else like it in the industry. First class all the way and incredible training and inspiration from start to finish. It was an honor to be one of the speakers at this event. I was humbled and overwhelmed with gratitude. To the point, that when I was practicing my presentation the day I was speaking, I burst into tears. I mean really sobbing tears. I think part of it was stage fright or as Bob Proctor said earlier that day, I was breaking through a terror barrier. As our son pointed out, “Well, there were 8000 people out there.” But mostly the tears were from just how incredibly grateful I am for what has come into my life because I said yes to Network Marketing almost 10 years ago and what I get to do in my life now. Speaking at this event I consider a career milestone. It never occurred to me that someday I would be on the same stage as Tony Robbins, Bob Proctor and Robert Kiyosaki. All 3 have been mentors in my life and all 3 have such incredible wisdom to share. 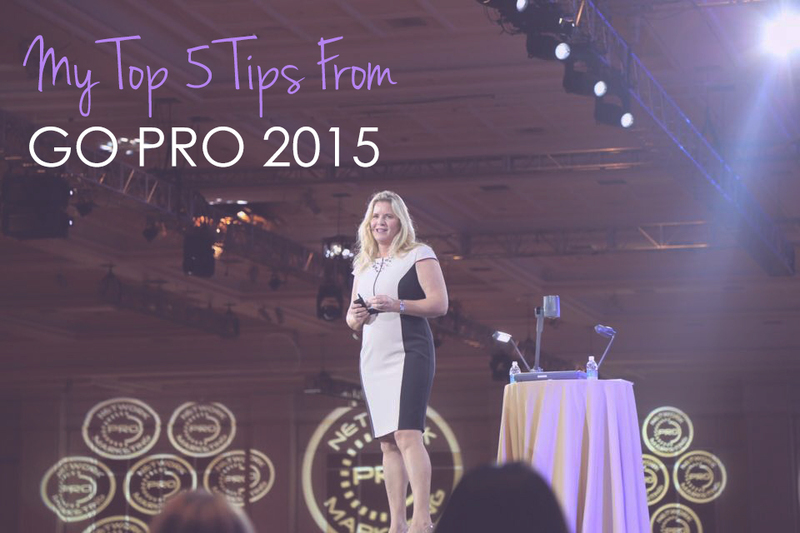 So enough of that… Here are my top 5 tips from Go Pro 2015. 1. The economy is actually helping us as a culture to embrace becoming entrepreneurs. Think Uber, Air BnB and Shark Tank. Eric Worre made this comment the first day and I keep thinking about it, because it is so true. The world changes with the internet and what is possible today is helping so many of us think outside of the box and to be open to a new way of doing business. Very grateful for that! 2. We have two choices in our business. We can attract leadership or we can develop leadership. That’s it. We have to become the leader in our town. Remember to focus on the “one thing.” We have a tendency to overcomplicate things. Keep it simple. It is what works and duplicates in our business. 3. 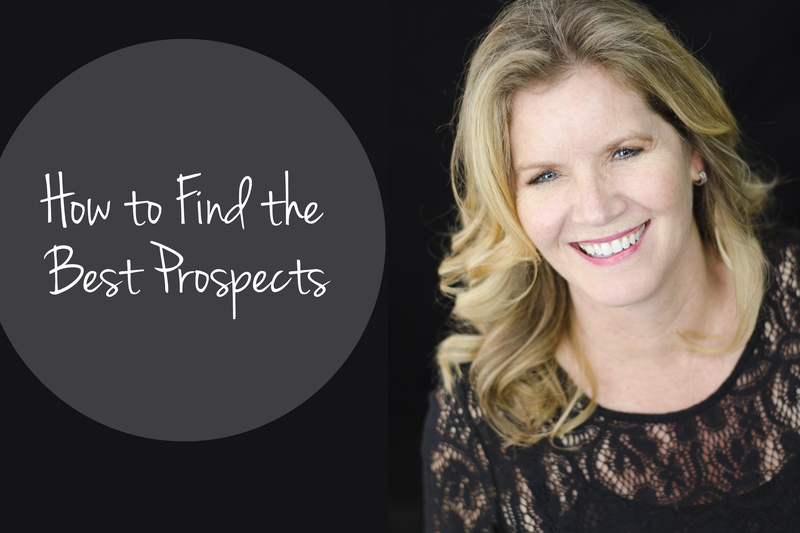 Prospecting is the answer to all problems. It is true. If something isn’t working, go out and sponsor someone new. If you are stuck in management mode, go talk to a new prospect. If your business isn’t where you want it to be, go sponsor someone new. Prospecting is what keeps you fresh and your business thriving. And your team will do what you do! Leadership is everything! 5. Tony Robbins shared that we can change our “State” in a moment. He talked about how to change our state, the place where we are emotionally by changing our physiology. By changing what we are doing with our bodies. We can change what we are focused on by moving our bodies. Tony talked a lot about changing expectation to appreciation. Just think what a difference that will make! We will see what we look for. Building our business becomes easy and fun when we are in a great state. Tony encouraged us to be more real, to be ourselves. Make it all come from the heart. Bring the emotion you need to make it happen. And I love how Tony talks about how the secret to living is giving! 6. We approach people that in our business, you can be rich. And what people really want is to be happy. Let’s lead our business with you can be happier instead of making it all about the money. Set the example that you can be happy with what you have, WHILE you pursue what you want in network marketing. I had many more aha moments last week at Go Pro 2015, but let’s start with these. Thank you to Eric and Marina Worre for all they do for us! P.S. I hope these network marketing tips are of value to you. If you liked this blog post, I think you will love my blog post on How to Make Money With Network Marketing Companies! You also may enjoy this additional training about Success Secrets From Top Team Builders from Ray Higdon. Research has shown that the average human has 65,000 thoughts per day and 85% to 90% of them are negative. Did you read that right? That number is way to high! Be aware that your brain works that way and when you start thinking negatively, remember that they are just thoughts, not reality. If you don’t meet your phone call goal for the day, for example, don’t dwell on it. Stay positive so you can try again the next day. At the end of the night, I often ask the question: What was the best thing that happened today? That is what I want to go to sleep thinking about, not the nightly news. Be very careful who and what you let speak into your life. Start your day with gratitude by thinking of all that you have to be thankful for. I can confidently say that being grateful changes everything. Remember that most of the seven billion people on this planet do not have the same opportunities as you. Then you will be in the right frame of mind for the rest of the day. I have a recurring event in my calendar that says: Nothing new can come into my life until I am grateful for what is there now. Understand that most of us lack confidence, especially when we start something new. This is extremely pertinent for the network marketing industry. However, we need to move forward anyway. 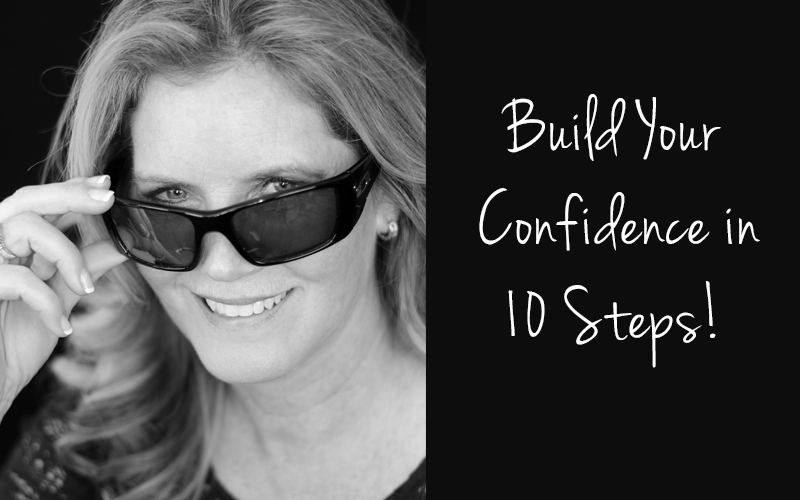 If you struggle with confidence, you are probably thinking “well, that is easy for you to say!” but it’s true! Most people do not go into something new full of confidence but they have worked through it. Also keep in mind that meditating your way to build confidence may not work – you just need to push through it! 4. Take steps outside of your comfort zone. If you do so, your comfort zone will expand. It is important to get out there and experience something new and frightening. When you do you will realize it’s not so bad. When I notice that I am feeling nervous or uncomfortable, that is when I pat myself on the back and say, “I must be doing something outside my comfort zone”. I also have learned that when I really resist something, then it usually means that is what I really need to do. We have another saying in our business: Your biggest resistance will be your biggest paycheck. It is easy to be busy doing things within our comfort zone. The things that will pay you the best are OUTSIDE your comfort zone. Build your confidence one step at a time. If you do not associate your feelings of self worth with getting “no” for an answer, then you won’t feel that bad. Be OK with just walking away from someone if they are being rude or they just don’t get it or what you have to offer them isn’t a fit for them. A great book to read is Go for No by…. The more no’s you get, the more yes’s you will get too. 6. But remember to always bounce back up! Everyone experiences failure at some point in their life it is natural. Once you get back up you will have learned what does not work and can give it another try. The more chances you take, the more successful you will be. Failure isn’t even a word that I like or use, because of all we learn from our mistakes and mishaps, then they aren’t really failures, they are just learning lessons. In almost any situation, if you prepare beforehand you will feel more self-confident. Do you have to give a speech or are you going to meet with an important prospect? Practice before hand, maybe even record yourself and listen. Do you research about the prospect and check their social media profiles as well. 8. Start to share what you are learning. Build your confidence by teaching. Invest your time learning something and then teach that to others! It could be through online content or to your friends. The feedback you receive will do wonders for your self-confidence. There is nothing like teaching to really help you embrace what you have learned. And it is so true, the move value you provide, the more you will attract people to you. 9. Watch your posture. And not the stand up straight kind. Sometimes you just have to pretend you have self-confidence, even if you don’t. For example, if you are sharing your opportunity and you are feeling less than spectacular about it, remember your posture is everything. Your audience doesn’t know your confidence level. Sometimes you have to cop an attitude and make people believe it. I guarantee you will feel confident and next time you will start off with a bang! Never ever ever give your power away. And if you feel it slipping, grab it back! 10. Last, but most important, get plenty of sleep and exercise! Several different studies have shown that if you get enough sleep, exercise and good nutrition, your mood and effectiveness will be profoundly boosted. Even moderate exercise three times a week for 20 minutes will do a lot for your brain, which will in turn boost your self-confidence. I wish you the best as you build your confidence, change your life and create a thriving business. These tips can be easier said than done, but I know once you start it will be a snowball effect. It takes practice and reminders for sure. Watch your self-talk. You hear your words way more than anyone else’s. Ironic isn’t it? Cheers to you and your confidence! P.S. I hope these network marketing tips are of value to you. If you liked this blog post, I think you will love my blog post on How to Be Consistent in 5 Steps! You also may enjoy this additional training about Success Secrets From Top Team Builders from Ray Higdon. 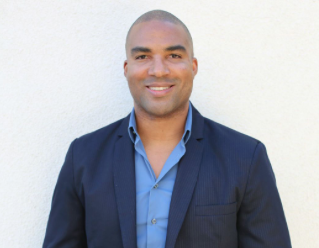 Recently I had an amazing opportunity to be interviewed by Vince Reed of Network Marketing Nation. I was able to share my experience in the network marketing industry and I hope it will help you become more successful online as social media marketers. Here are some key points from my interview, but be sure to check out the full audio and article by Vince Reed. The best thing about earning more money is the ability to inspire other people to take charge of their financial situations and become top earners! I have invested in that process over the years and I know it is a great use of my time. What network marketing company should YOU work with? Do your research on the company, but also find a great team with an amazing leader. You should resonate with that leader’s style and integrity. Your upline can make all the difference for you! If you are just starting out in network marketing: it is important to laugh a lot. And to bring your own personality into your business. Just be you. Don’t try to be anyone else! Learn how to manifest your success! By reading and working with great masters, and consistently practicing spirituality and improving one’s skills with the laws of attraction, you can start manifesting the things you want. Be consistent and always track your progress. A new person to the business needs to think of a BIG VISION and dedicate time to achieving that vision and do that every week. Dedicate time to reaching out to 5 to 10 new people a day or a week (you choose) to build a network. Consistently work on this. The speed that your business will grow ultimately depends on how many people see what you have to offer. Check your ego at the door – remember: it is not about you, it’s about the team you work with. Thanks for reading and cheers to your success!